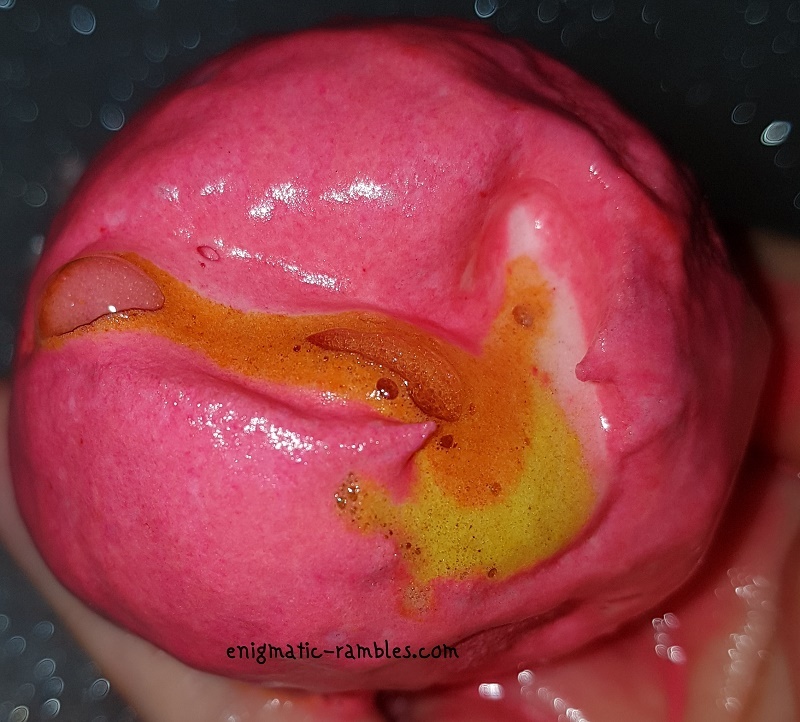 This is a very cute bath bomb, it is red with two reindeer on it. Very typical of a Christmas Sweater which I am guessing was their aim. The bomb turned the water a orange red shade, the inside of the bomb is a orange colour. I found the scent to be quite cinnamon like, but not too strongly of it. The scent didn't linger on my skin afterwards either. 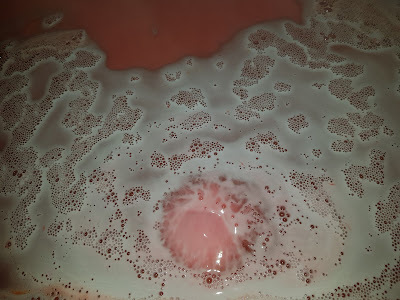 The pink didn't stain the bath or need any extra cleaning after using it. My skin was left soft after using this bath bomb. 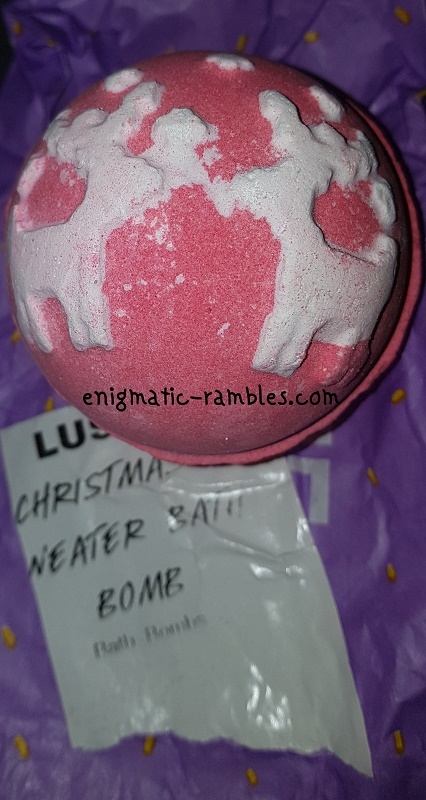 Overall this was an okay bath bomb, I think it may have been better to use in December rather than March when I got around to using it!